Based on a barrage of reports from users, the keyboard design introduced in 2015 and then tweaked in 2017 is so delicate that it's much more likely to fail than the keyboards on older models. Just a small speck of dust or debris can cause problems, apparently. To be fair to Apple it does offer a one-year warranty on new laptops and so if your problems start within that time window you can get a keyboard swap for free in the space of a few days. The new lawsuit claims that isn't enough and says the "core functionality" of these devices has been compromised. 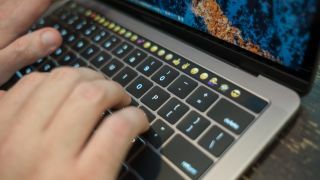 We'll have to wait and see what Apple's response is, but the keyboard controversy threatens to put people off buying a new MacBook or MacBook Pro – not something Apple CEO Tim Cook and his colleagues will be pleased about. You can view the class action lawsuit online here.